The new Spicy Sriracha Burger at JIB was terrible! Sometimes I can get a good burger here, this time was just not it. Maybe next time I’ll stick with my beloved egg rolls. I had the “Red White & the Blue”, $12.99. Made with a half pound steerburger with bacon, bell pepper, blue cheese crumbles, grilled onions, lettuce & mater. This came out looking like a hot mess! I swear I had to take two showers after we got home. It’s made with their standard institutional, bottom shelf bun, but at least it was fresh. There’s definitely a lot going on here, but the beef patty is what remains at the forefront throughout. 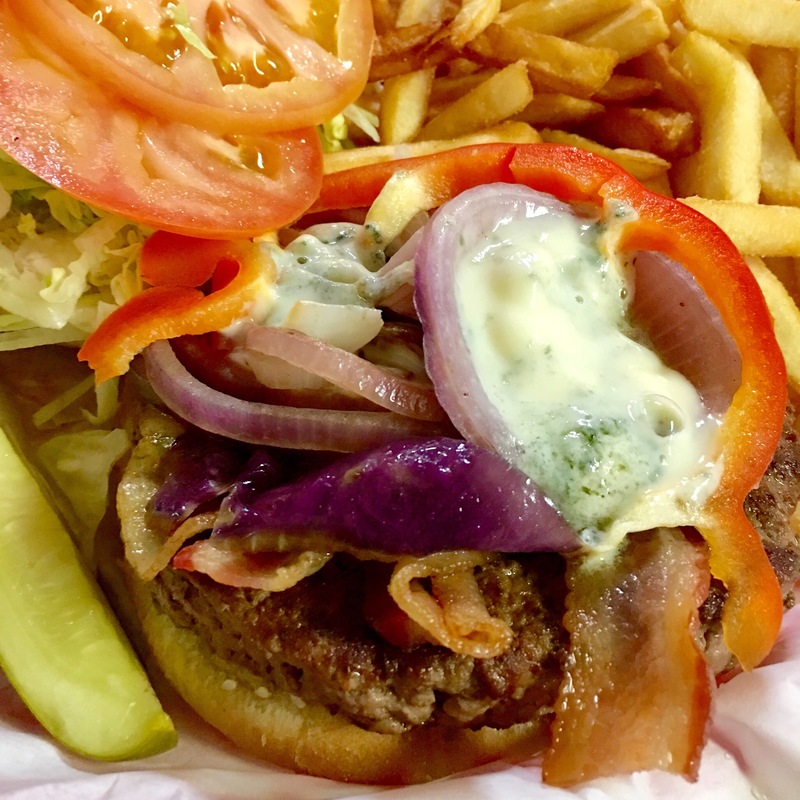 I had at least two-thirds grilled onion taste, but the blue cheese and bell peppers seemed to be fairly aloof. And the bacon was really only discernible in one or two bites. I’m not gonna sugar coat it. 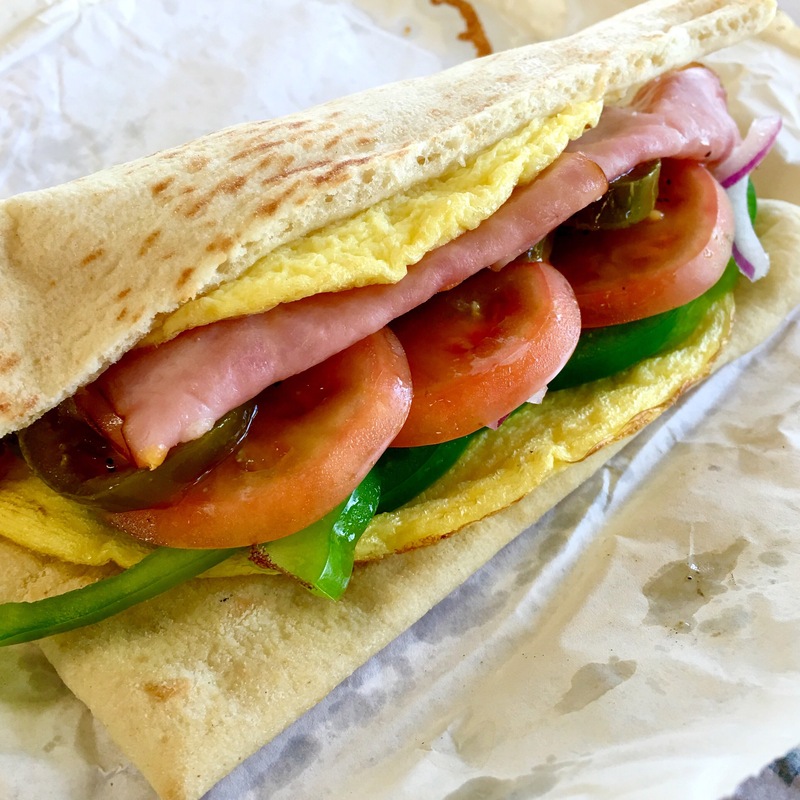 I would certainly order this again, but for $13, wish that a little more care would be taken in crafting this monstrosity. 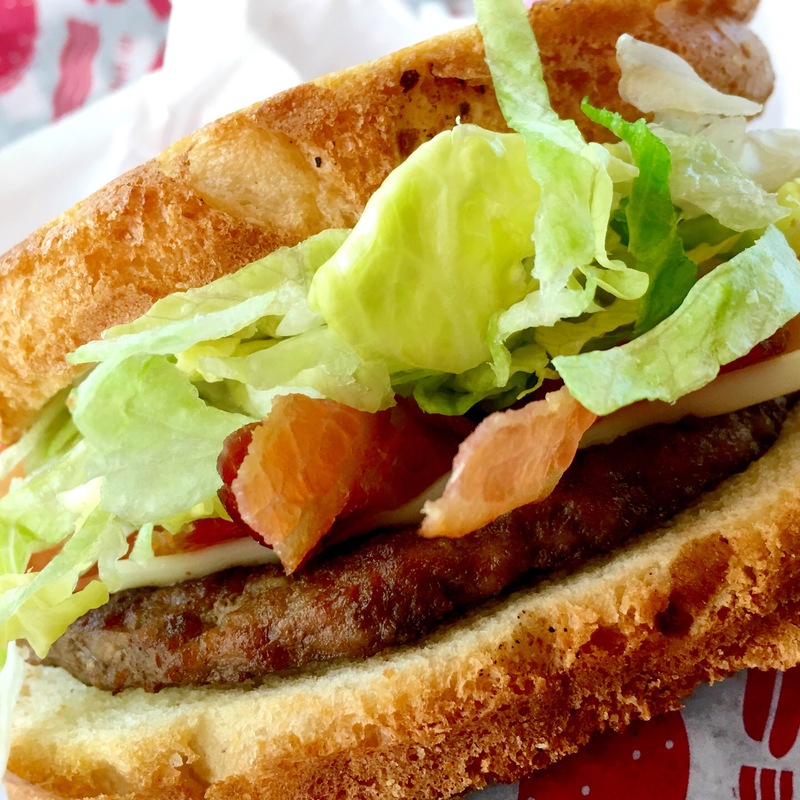 Along with a more prominent bacon note and a top-shelf bun. 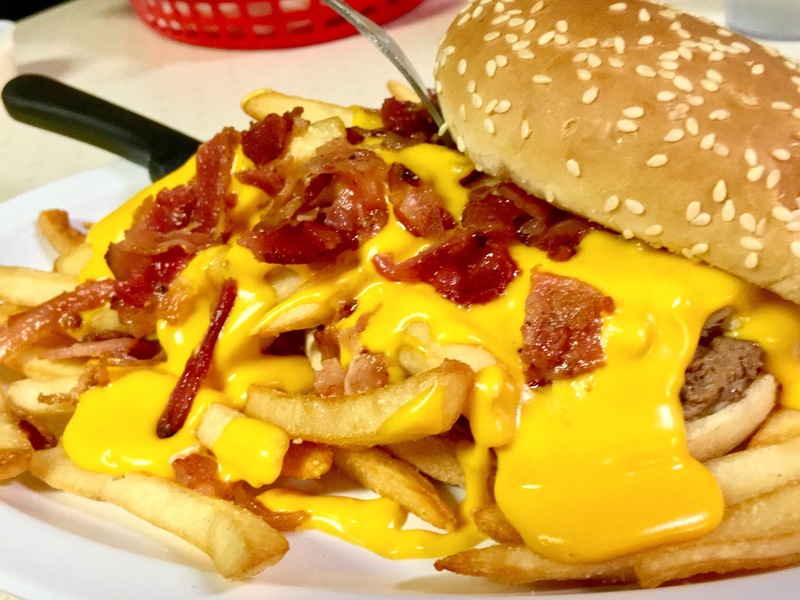 Gail had “The Messy” made with nacho cheese, BBQ sauce, fries, bacon, etc. It was a monster! 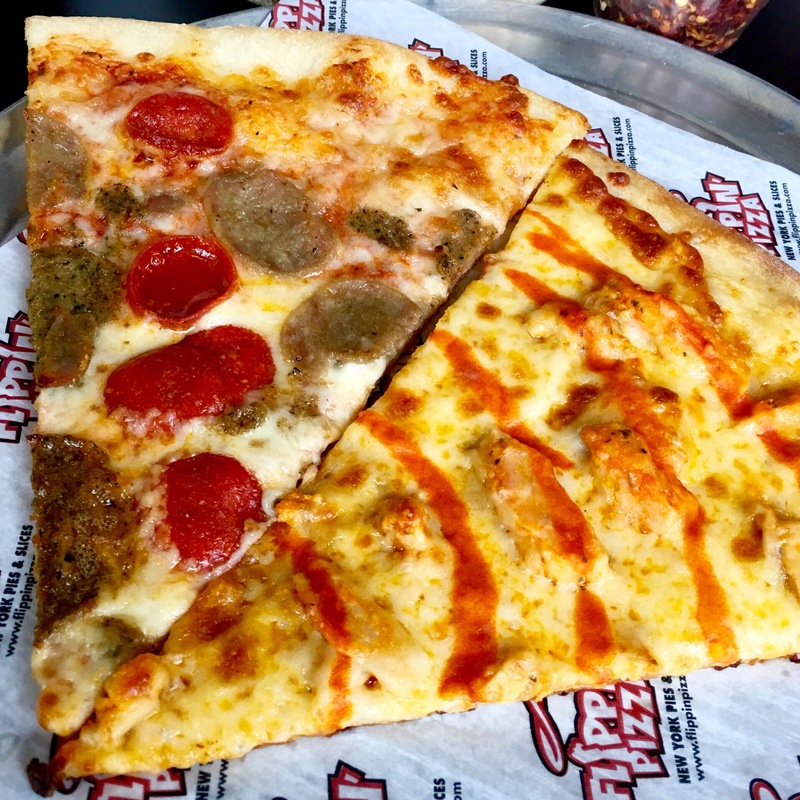 Pizza is my middle name and Flippin’ does not disappoint with their two slice lunch specials! 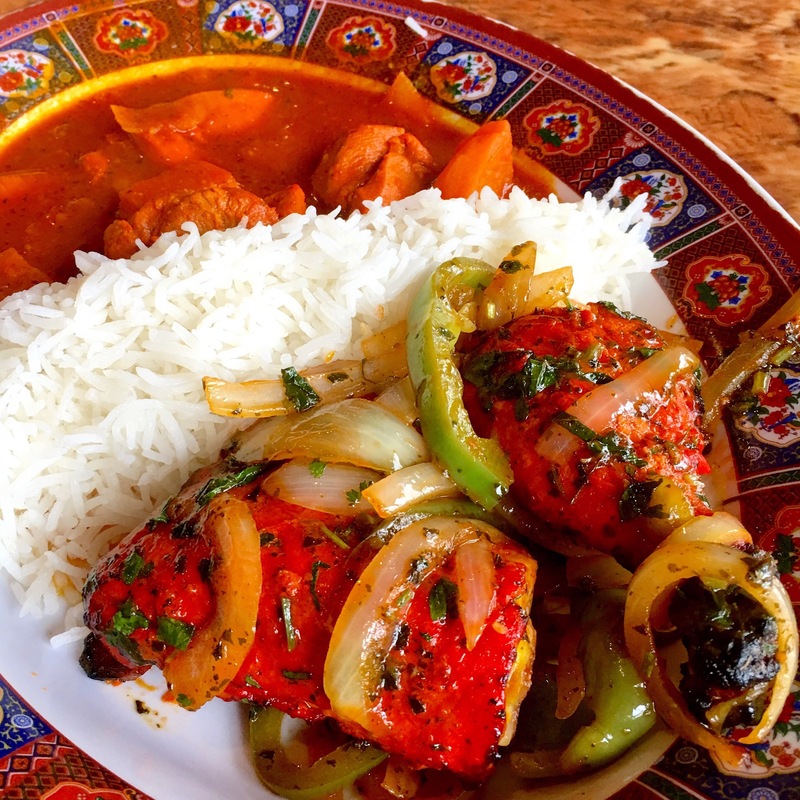 Outstanding tandoori chicken with terrible chicken vindaloo! Next time I think I’ll stick with the tandoori and tikka masala. 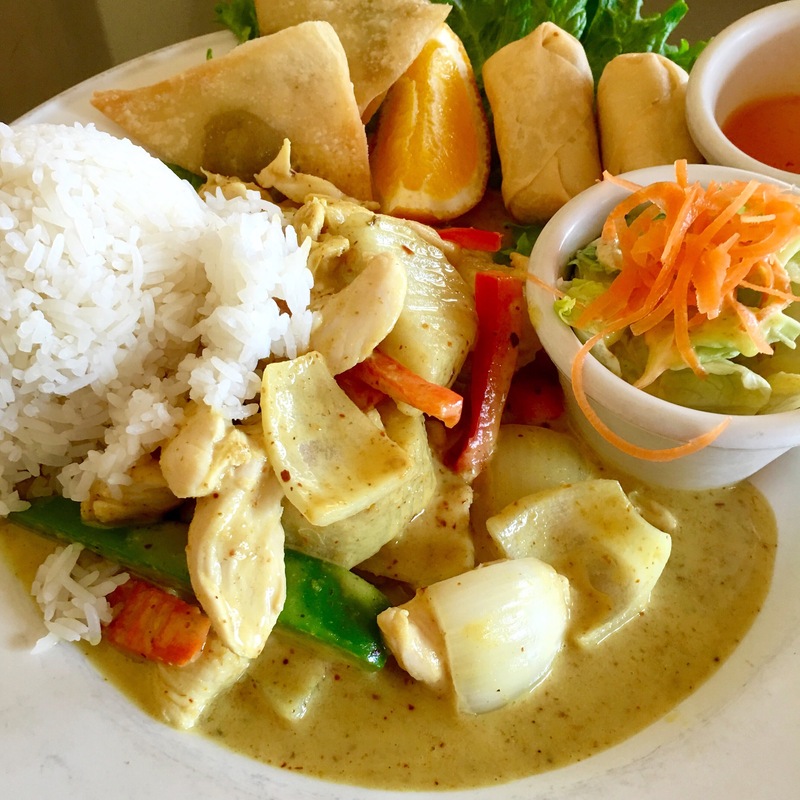 Outstanding Gai (yellow) Curry lunch special at Pailin, made with chicken. Rich, hearty, flavorful and just the right amount of spicy heat. 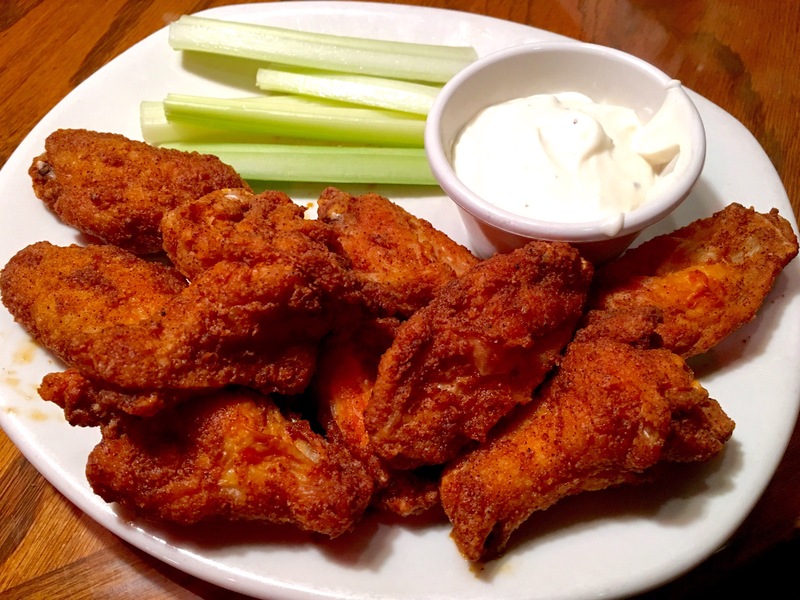 During this visit we sampled an assortment of outstanding appetizers and sides. Impressive order of happy hour chicken wings. 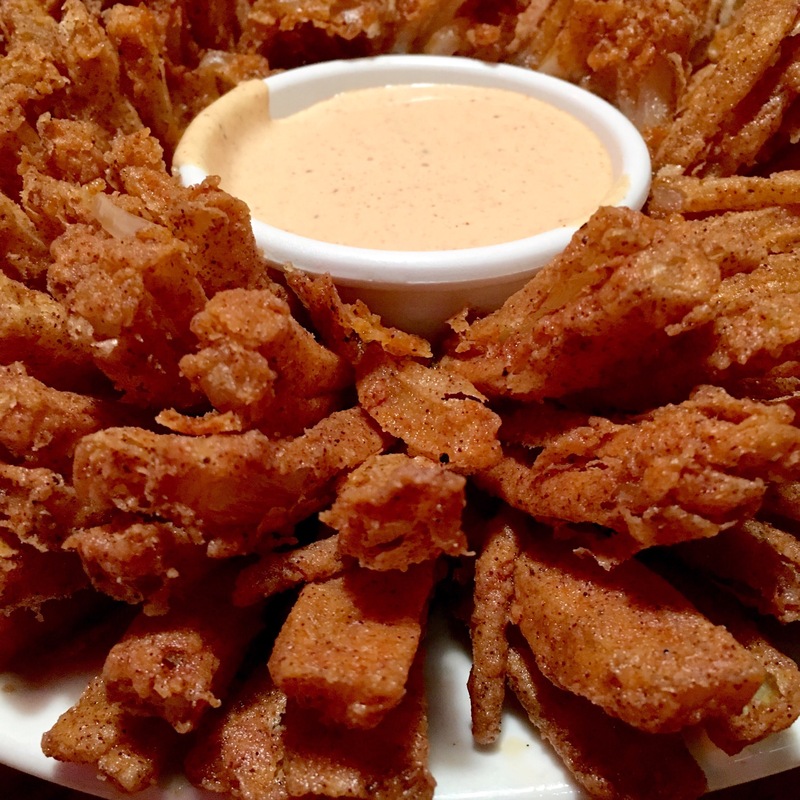 You can never go wrong with the iconic bloomin’ onion. And a pretty decent order of their new steakhouse mac & cheese. Par Lounge (Oaks Grille) for New Years dinner tonight. Went out on a limb and ordered the “Korean Glazed Salmon”. 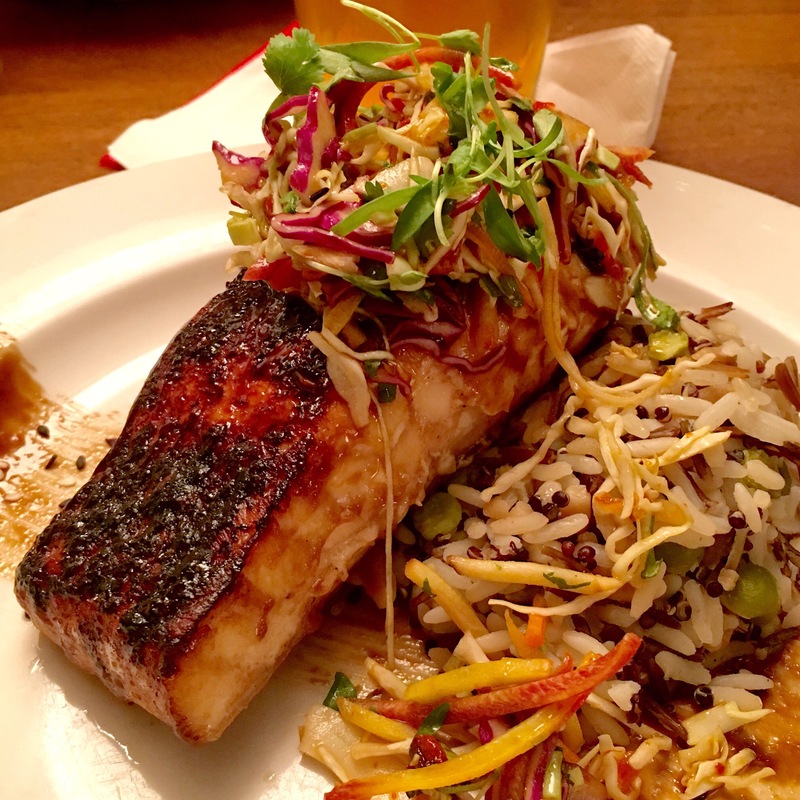 For $19 it’s grilled Atlanticsalmon with a Korean BBQ glaze, rice pilaf and a Thai slaw. This was an impressive dish and the kitchen delivered a fantastic presentation. Salmon was cooked perfectly with a nice exterior sear and moist, flaky center. Not at all overcooked! I considered the portion to be just right. It was served with a fairly conservative amount of rice pilaf that I didn’t really care too much for. A lot going on here. Not sure what all was in it, but not really the traditional pilaf I’m used to. Not terrible, but I’m not gonna sugarcoat it… I would have probably liked the dish better with just a side of fries. I was expecting the Thai slaw to be a more featured component of the plate, but it was basically just a garnish on top of the salmon. For $3 extra I started with a cup of clam chowder. Of all the times I’ve eaten here I never tried their clam chowder. It was better than I expected. I would order this again! Full of tender potatoes, bacon and clams. And most importantly, no sand! I did have to add some salt & pepper though. Unfortunately the only Asian restaurant open for lunch today was Amerient! Fortunately though, they have a varied and affordable menu of lunch specials. 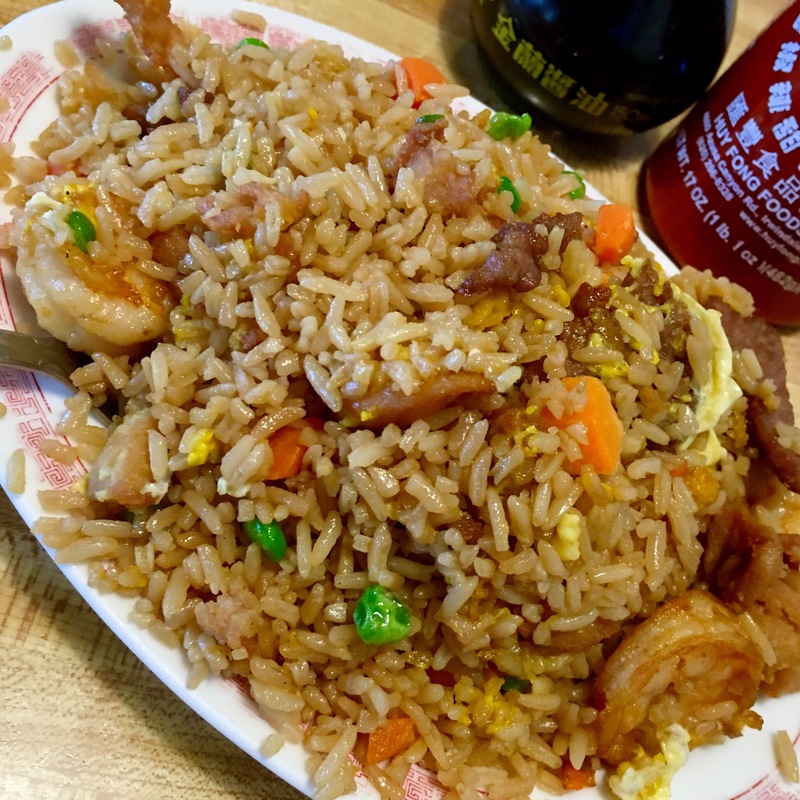 I ordered the House Special Fried Rice ($6.55). It’s made with a fairly conservative amount of beef, chicken and shrimp. includes soup, chef choice appetizer (cream cheese won tons), etc. Too many peas and carrots for me, but I would go back and get this again. Better than the Kung Pao Chicken I had last time…Outstanding egg drop soup! Some of the best I’ve had. So, we’re going to start reviewing all the onion rings Ramona has to offer (because it’s tastier than salad). We decided to start at one of our favorite o-ring spots to help set the standard! We’re at Way Point Saloon / Up the Hill Grill.You can draw your own conclusions, and of course, your mileage may vary. (Or YMMV as the young people say)… But this is based on our opinion and personal preference – so if you have a favorite, be sure to let us know about it! Appetizer order was $6.95. Kitchen took a while to get it out, but came presented in an impressive tower with a generous side of fry-sauce. Rings were hot and tasty, medium thickness. Seemed to be no discernible seasoning applied after the fry. Needed salt. Beer batter was good and just a bit sweet. Really nice. For the most part, we were able to bite through the rings without dragging the rest of the onion out, which is a plus! Per the bartender, they’re housemade and not frozen. I’m not sure about this, they were all so uniform and consistently battered throughout. Still an excellent order of rings and a good value. One of our favorites when at UTHG. 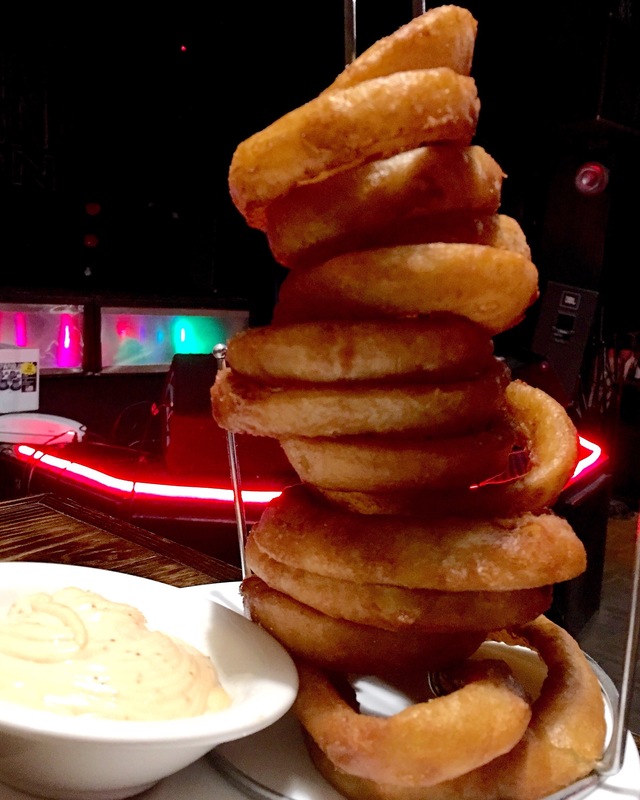 An outstanding “fry sauce” accompanies the tower of rings! Seems to be a mayonnaise base mixed with maybe some ketchup(?) and a good amount of seasoning… Compliments their onion rings and fries very well!